When Kellhus is studying the-thing-called-Sarcellus in TWP it brought up a question that I don't think is answered in the books. Kellhus can see skin spies almost immediately because they have no face, and he can notice the false expressions given out by the creatures, but as far as I know he cannot smell the difference as Aurang does when he finds the previous skin spy Sarcellus at Mengedda. So how do other skin spies tell apart one another from men? I know the captured one during TTT screams in a high pitched voice that "only rats can hear" but I would be curious how long it would take a skin spy to find his brother in a crowd of people. 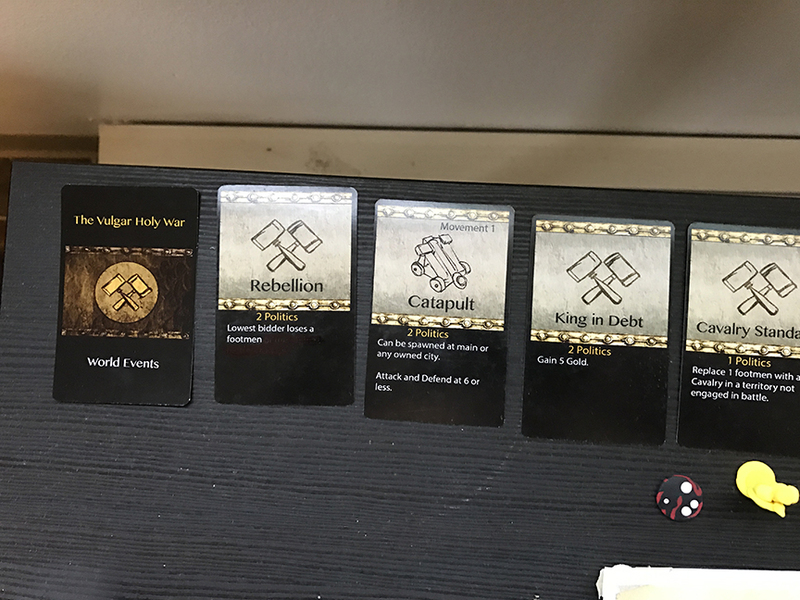 I have spent a year and a half creating this prototype. 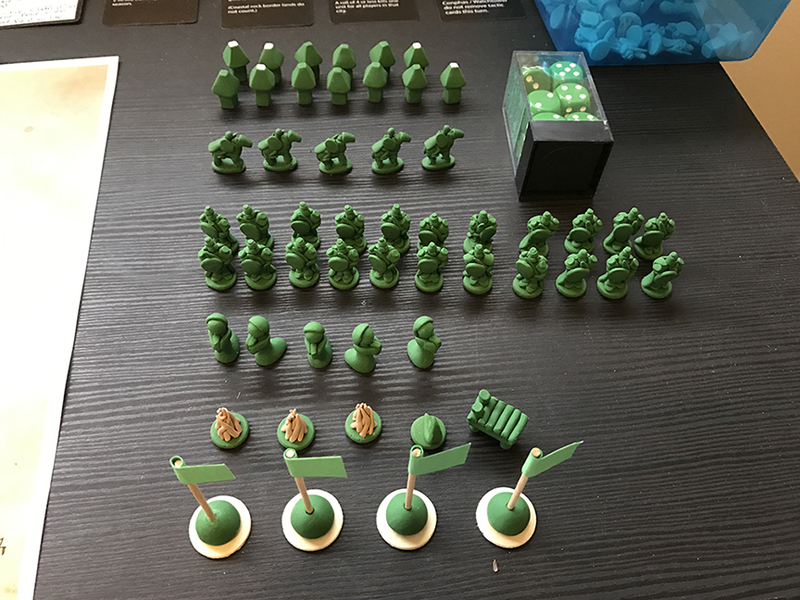 It’s developed into somewhat of a mix between “Settlers” and “Axis and Allies.” The goal was to make a tournament style game, something that could be played at a competitive level. I also wanted enough random and organic elements to create high risk and reward situations. All of the pieces are handmade, the board itself has gone through 4 different versions, even a non symmetrical one. 2-3 Players. Turn-based tabletop game. Players collect resources by claiming land or cities. Victory goes to the player who owns four cities by religion. 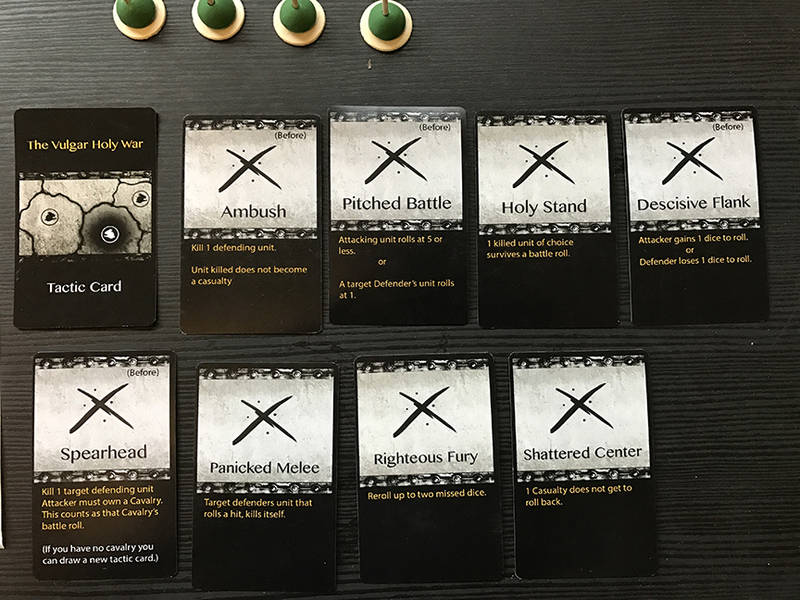 Players balance the line between having a strong army or economy. a. 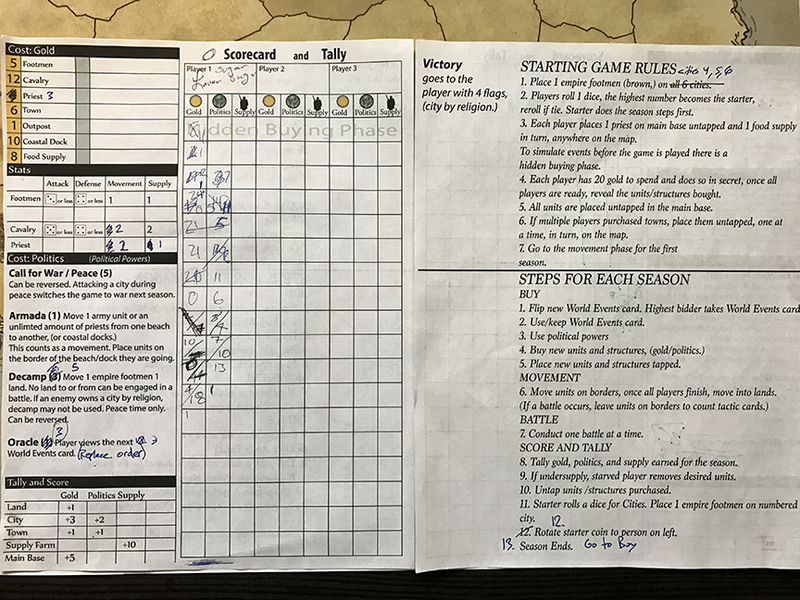 The way players plan their strategies to a large extent comes down to whether the season is in peacetime or during wartime. If it’s during peace, players can move freely across the map where there is Empire soldiers. a. At the start of every turn a new World Event card is revealed. If the card is not an elemental card, players can auction to see who can use the card. I could even do a video playthrough demonstration in the near future. My end vision for this would have each player be a different religion, the green pieces would reflect an Inrithi aesthetic, while red would be Fanim... and blue, Skylvendi. General Earwa / Mimara's Father? Ok seriously, I've now read all six books and this keeps coming up in conversations. Have I missed something?